Enterprise Resource Planning (ERP) software is at the very core of a business and what may be most important considerations are the Enterprise Customer Questions found in The Complete Enterprise (ERP) Self Assessment. Who will be your customer next year? Who will be your customer in five years? Who will be your customer in ten years? In your opinion, is it easy for your customers to do business with you? Does every employee know how to greet and meet customers? Do you have a feedback loop that offers customers a means to connect? Do you have hours consistently available for customers to reach you? 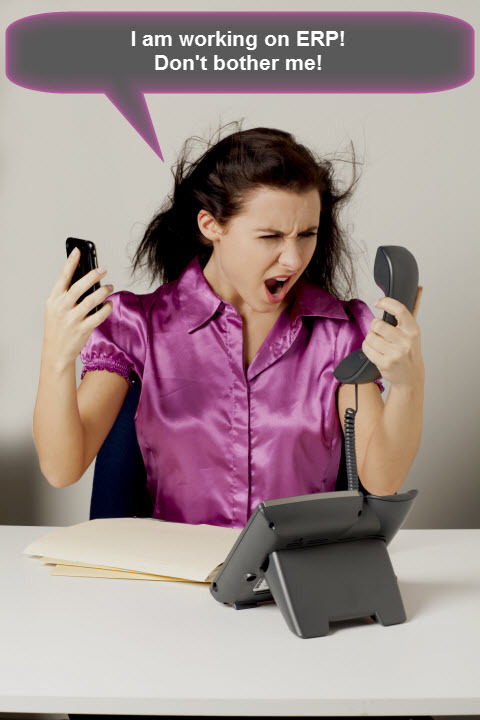 How long does it take to respond to a customer problem? How long it takes to return telephone calls from customers? How soon you respond to customer emails? If a potential customer calls for information, what is the response? These questions are very basic and if you find the staff has varying opinions or answers, it becomes apparent very quickly as to why there are bumps with customer service. ERP software is expected to improve customer service processes but first the expectations must be clearly laid out. The questions above can become part of your checklist for training, orientations, evaluations and staff reviews.